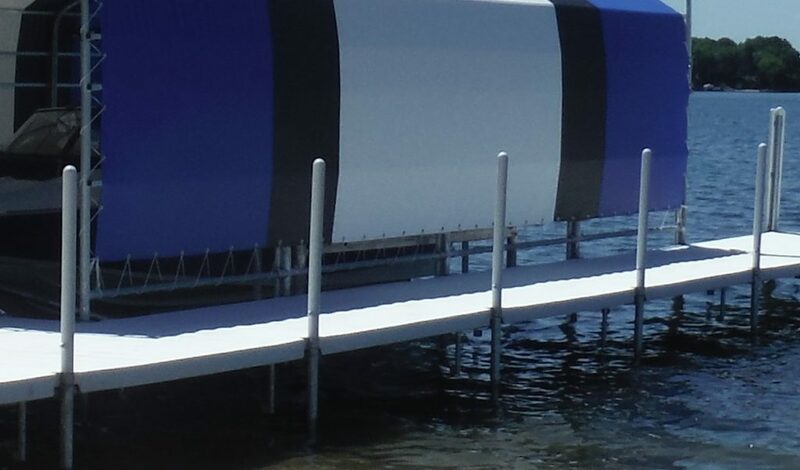 The Galv-A-Dock Vertical Boat Bumper offers maximum protection for any type of boat and protrudes four feet upwards above the dock surface and two feet below. The Galv-A-Dock bumper offers protection for many boat types, from low-profile fiberglass bass boats to large wide-body cruisers. The Galv-A-Dock molded plastic bumper is durable and is designed to cushion the impact of the boat. Any severe wear and tear is to the Galv-A-Dock molded plastic bumper itself, sparing the boat from damage. 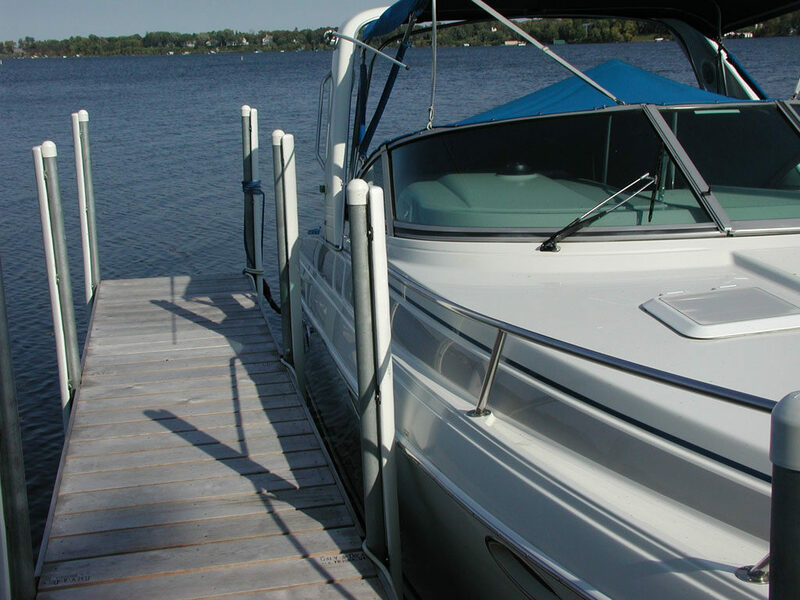 Galv-A-Dock offers a corner bumper for outside corners of the dock where a boat may contact the upright post at multiple locations. The Galv-A-Dock molded bumper is the best bumper available in the industry. It’s durable, user-friendly, and aesthetically appealing, with the longest lasting bumper-protection material available. The Galv-A-Dock Pole Protectors, are designed to cover the vertical pipe to a finished height of 40″ above the dock, giving a clean consistent post height covering and eliminating any exposed galvanized steel pipe. The Galv-A-Dock molded plastic Pole Protector has a setscrew fastener to lock it in place and is available in either Beige or White. The Galv-A-Dock Pole Protector is sturdy enough to support a person leaning against it. It is not recommended for any boat to tie directly to the Pole Protectors.